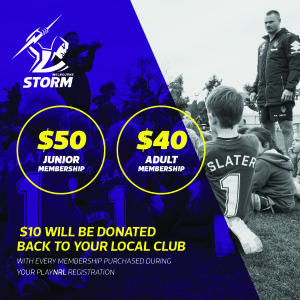 The Melbourne Storm are offering a discounted membership deal to anyone that registers with an NRL Victoria club. 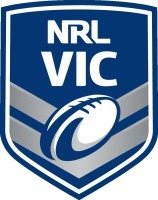 This will appear as an option for a player/volunteer to select during the registration process through the www.playnrl.com database. BEST OF ALL – for every membership purchased, $10 will be donated back to your local club. 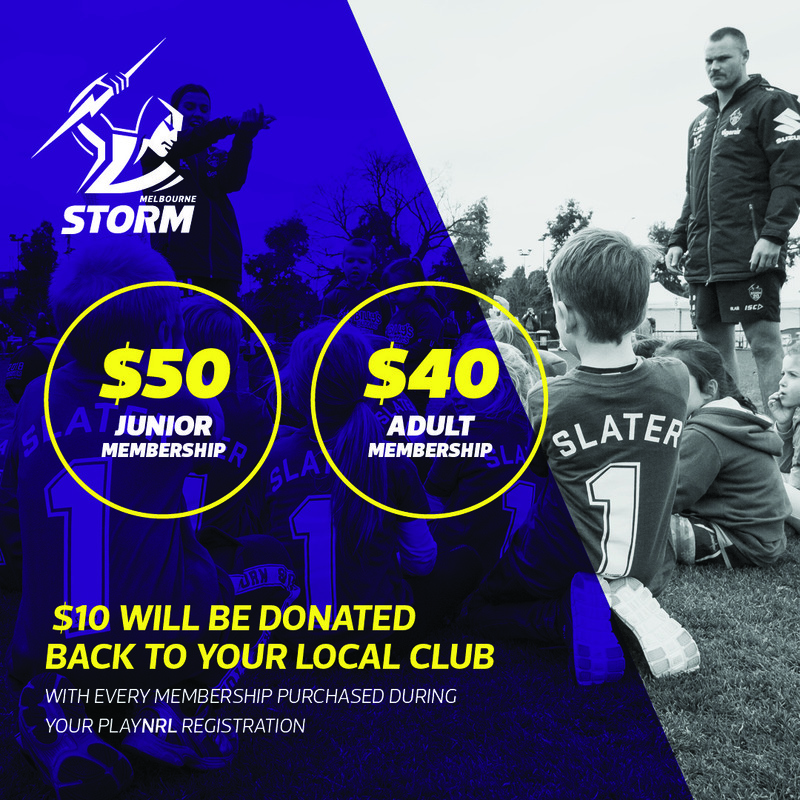 Register for your local club today, and get on board with the mighty Melbourne Storm!! !